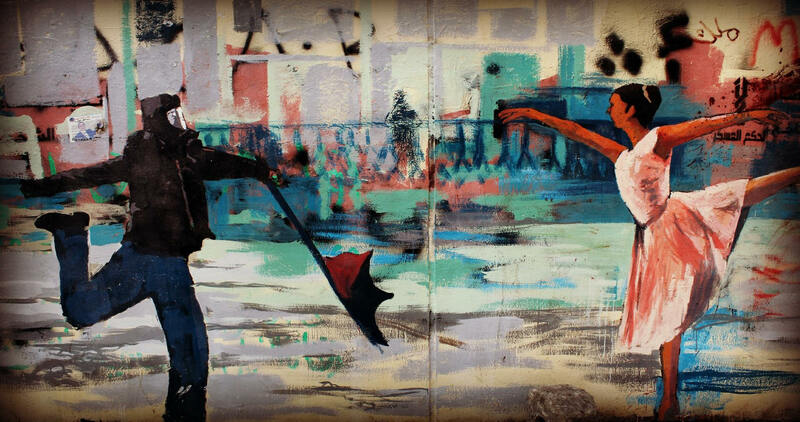 Street art has always been a means of documenting events, dreams, ambitions, and messages. 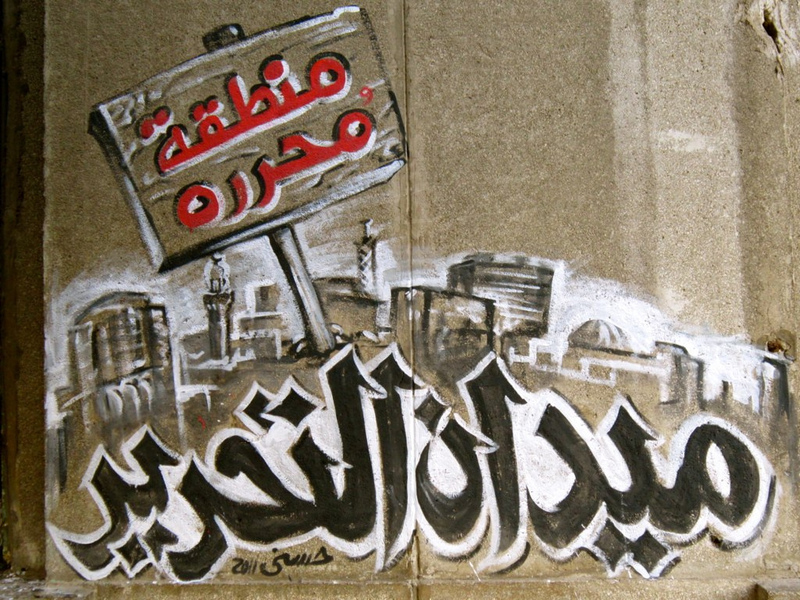 In Egypt, it has spread widely, especially after the revolution, when the art represented the images that the new generation wanted for the future. 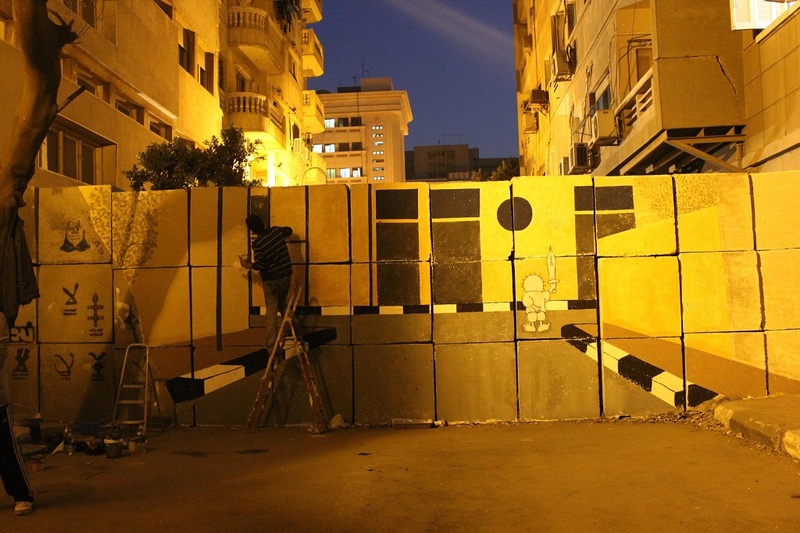 It was largely influenced by the history and the intense political situation. Despite the continuous attempts to erase these drawings, they keep on showing up every time. 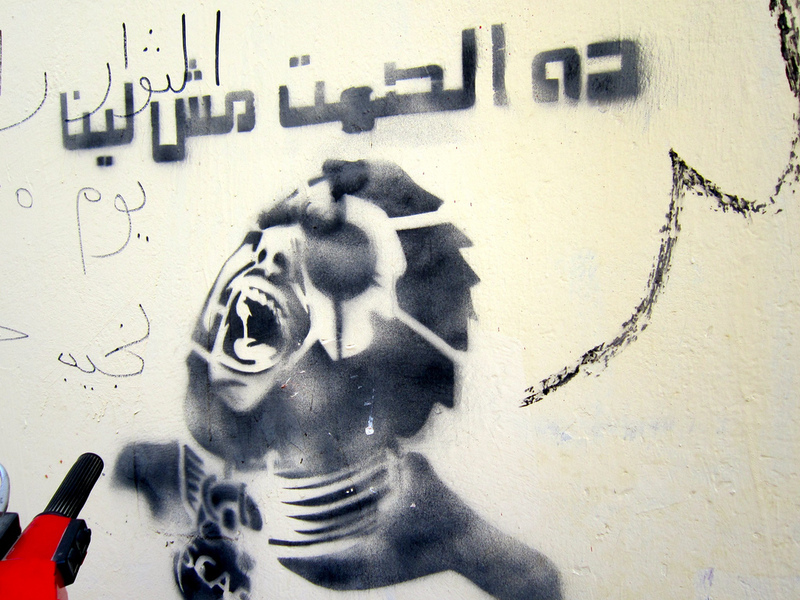 Here we document some of the revolutionary art found on the streets of Egypt. 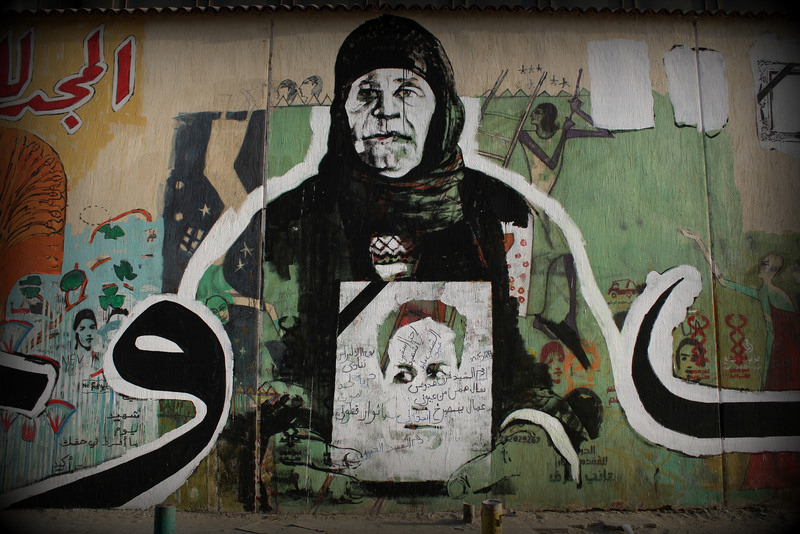 An image showing one of Naguib Mahfouz’s “Palace Walk” characters, Amina, who represents the submission to the patriarchy. 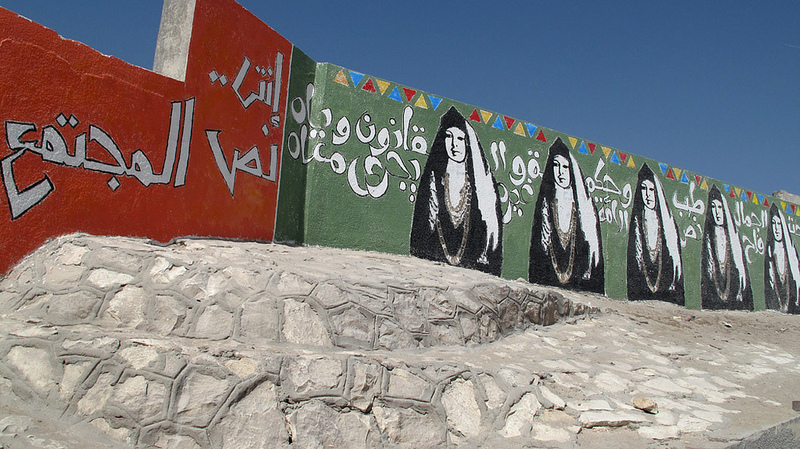 The figure of Amina is surrounded by women who represent the complete opposite, like Latifa El Zayat, Umm Kulthum, and Nefertiti. 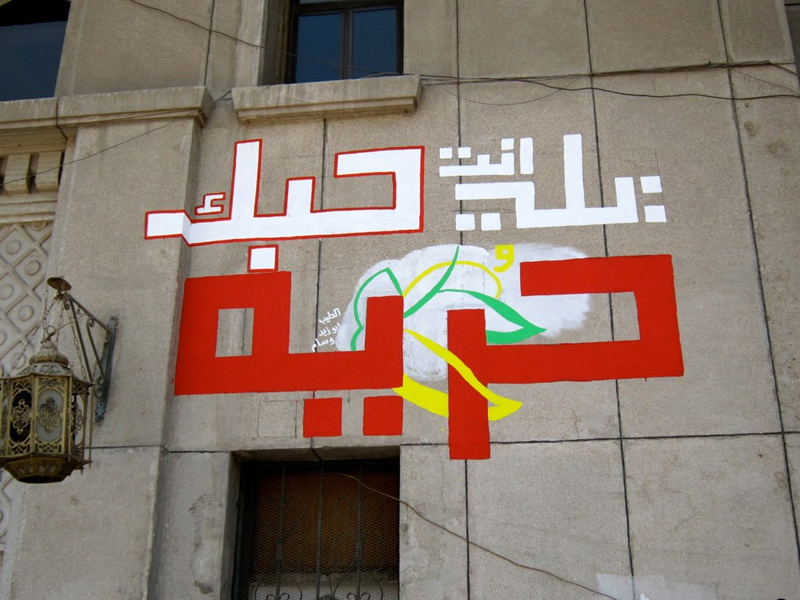 An image drawn on one of Hoda Sharaawi Street’s buildings by a 19-year-old engineering student, Ahmed Hafez. 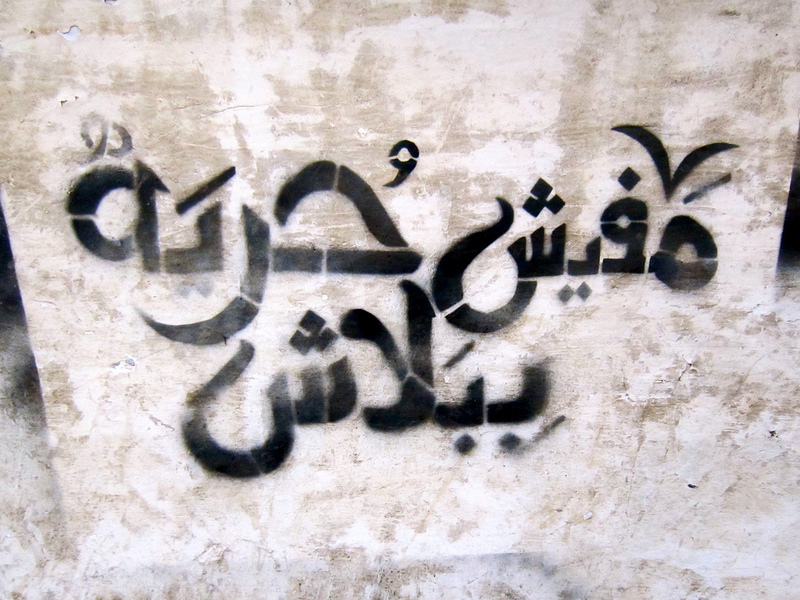 The writings say “why are you frowning, come dance with me” and is quoting a Lebanese song. 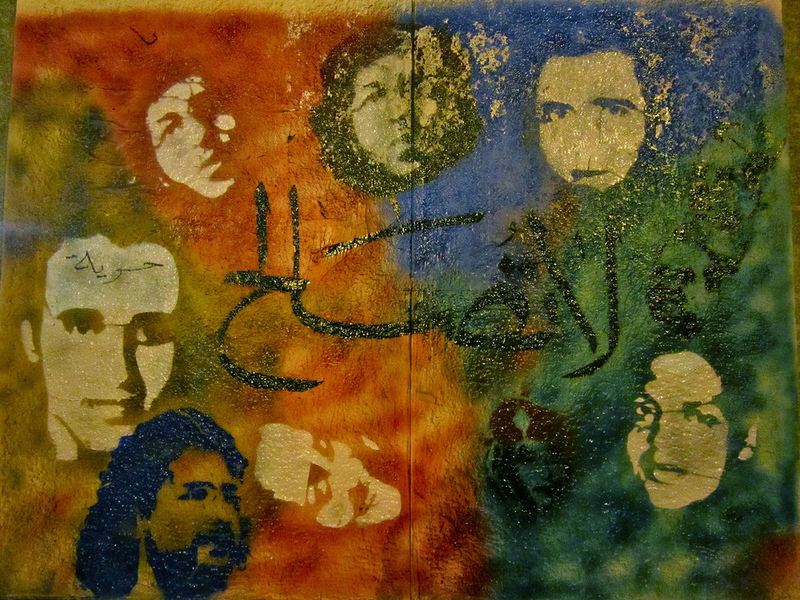 Hafez’s beautiful soul left our world a few years ago, but it is still remembered by this lovely painting. 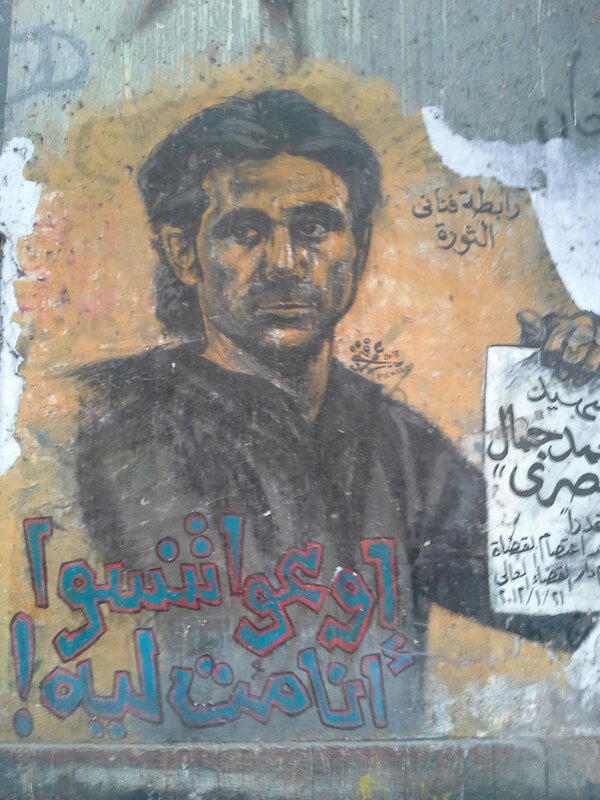 A figure of one of the Egyptian Revolution‘s martyrs’, drawn on the walls of Mohamed Mahmoud street, holding a piece of paper with his name and his death date written on it with “Don’t forget why i died” written under the figure. 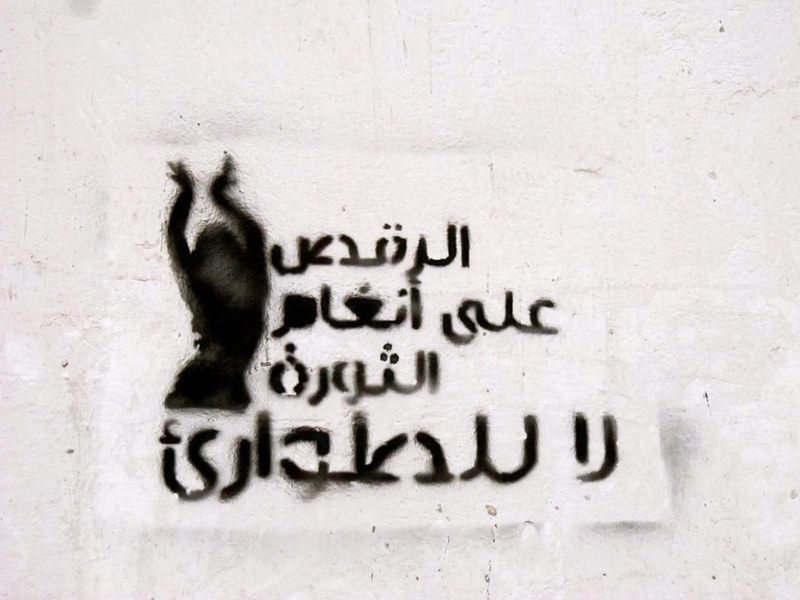 With a ballerina on the right and a rebel on the left, revolution is art and art is revolution. 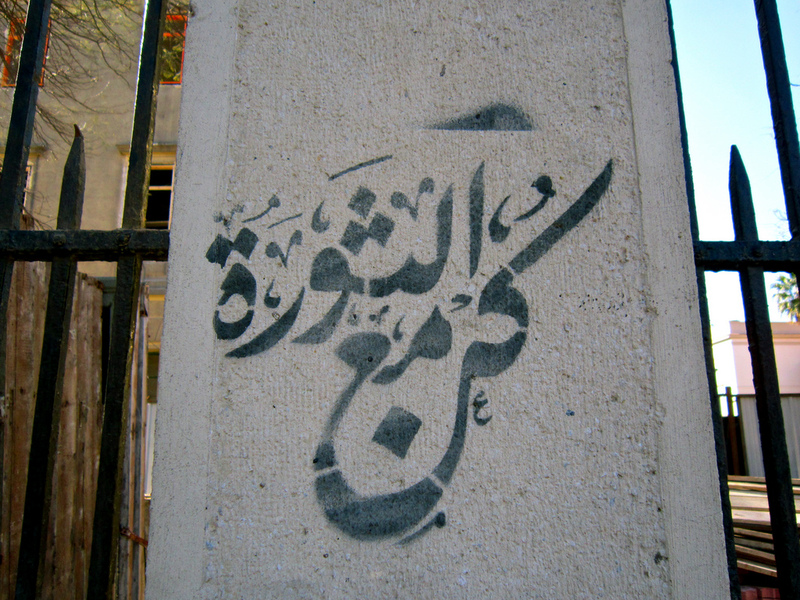 On a wall that was built to block one on Al Tahrir Square’s streets, the no wall graffiti is drawn. 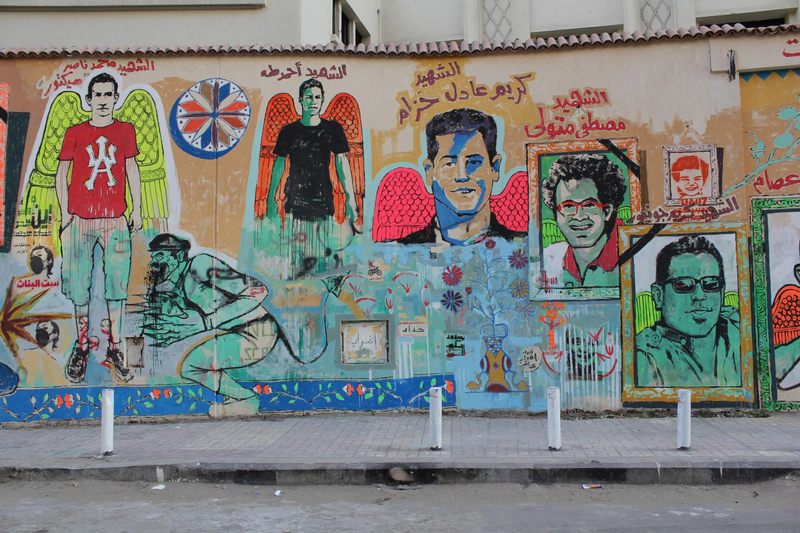 A mural of some of Port Said martyrs who died while supporting their football team. There is wisdom and intelligence that lies beneath the beauty. You, the woman, are half of the society. 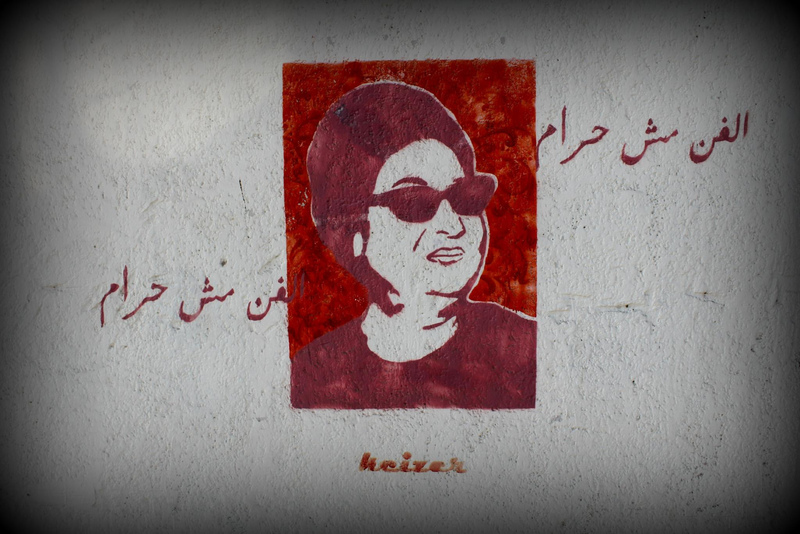 A painting of Umm Kulthum with “art is not a taboo,” written next to it. A figure quoting Amal Dunqul’s poem “Do not reconcile.” Do no reconcile even if they offer you gold, do not accept anything except what you want”. 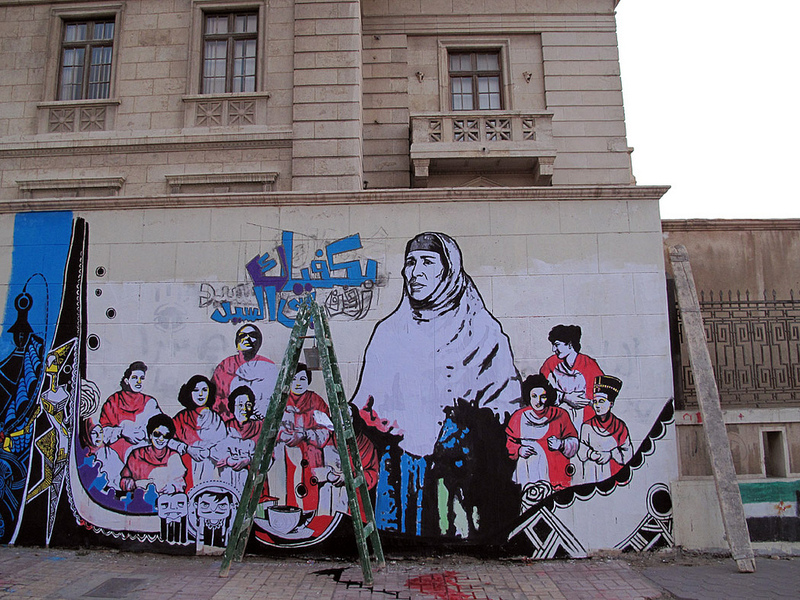 A mural for a mother of one of the revolution’s martyrs holding the picture of her son. 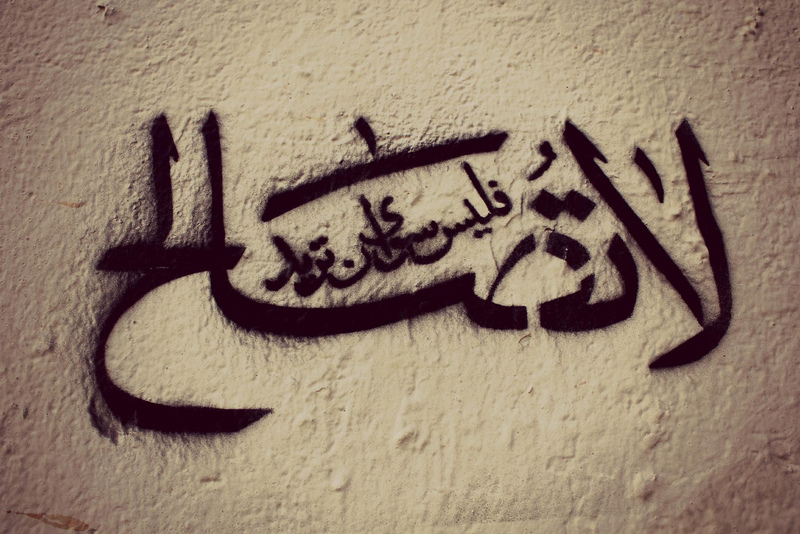 Dance to the melodies of the revolution, say “No” to the emergency law. Just a gentle reminder, freedom has its price. 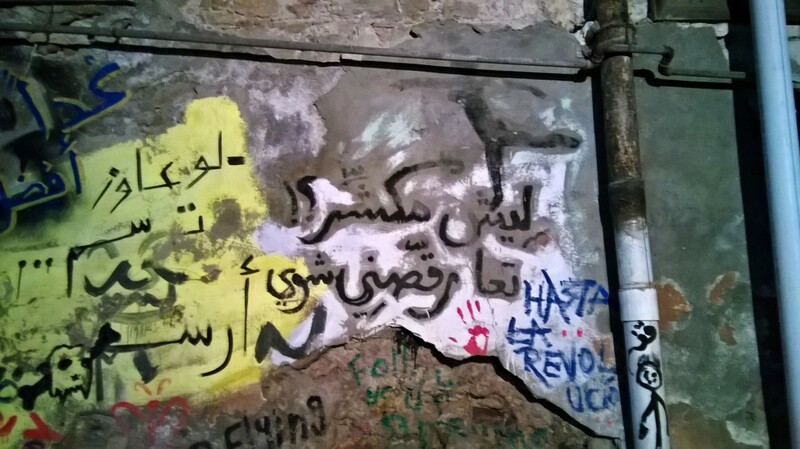 A rebel who lost one of his eyes during the revolution with “Silence isn’t for us” next to his painting. 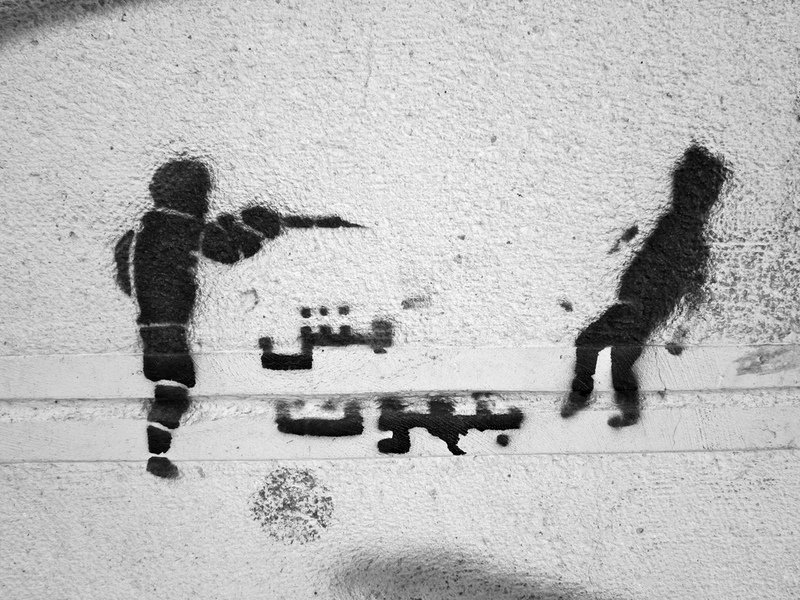 A mural shows a rebel being shot, but the caption says that rebels don’t die.